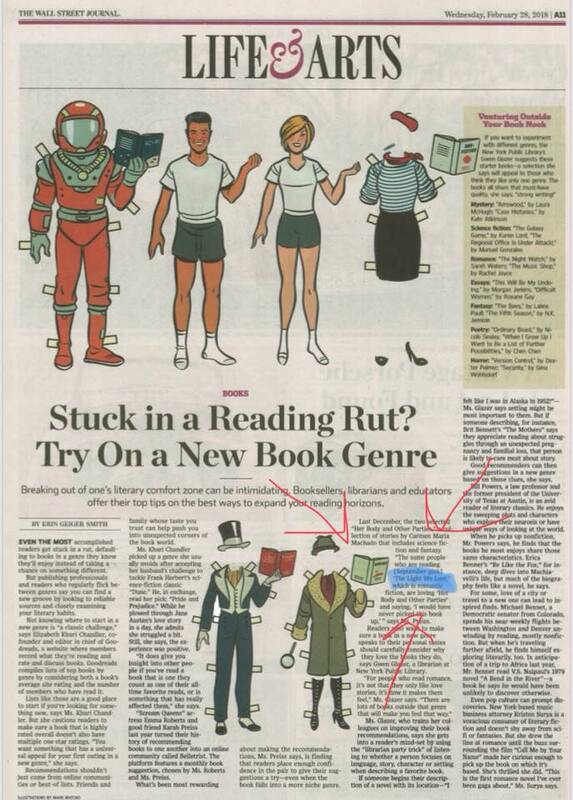 The Light We Lost was casually mentioned in the Wall Street Journal in an article about trying out new book genres. So cool to see it there. The Light We Lost in Entertainment Weekly! I have to admit, I freaked out a little bit when I saw The Light We Lost in Entertainment Weekly. 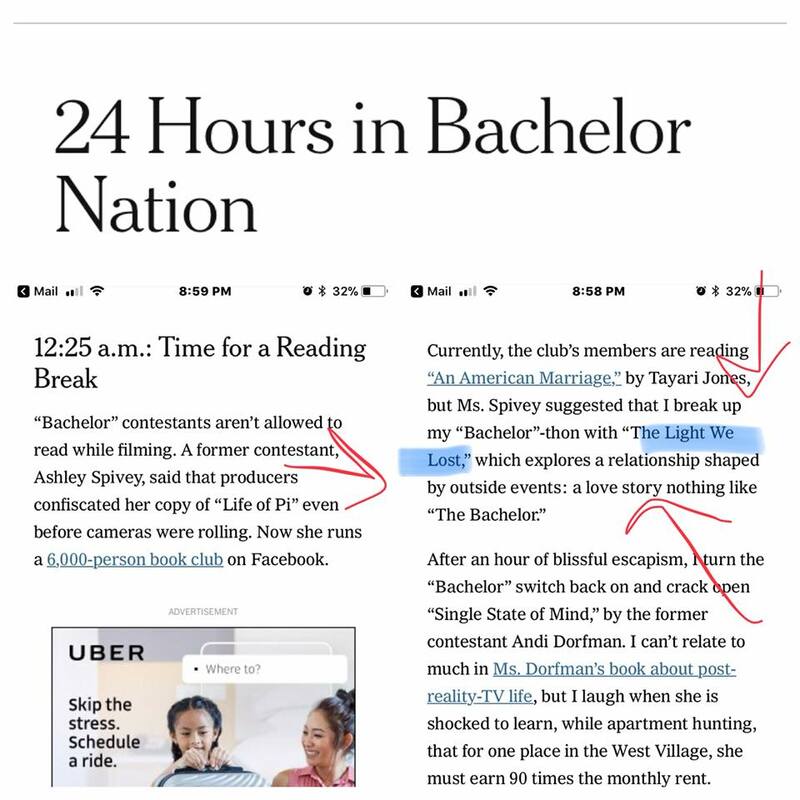 It was so cool to see The Light We Lost featured in this article in Apartment Therapy thanks to Reese’s Books Club x Hello Sunshine. #57 on the USA Today List! 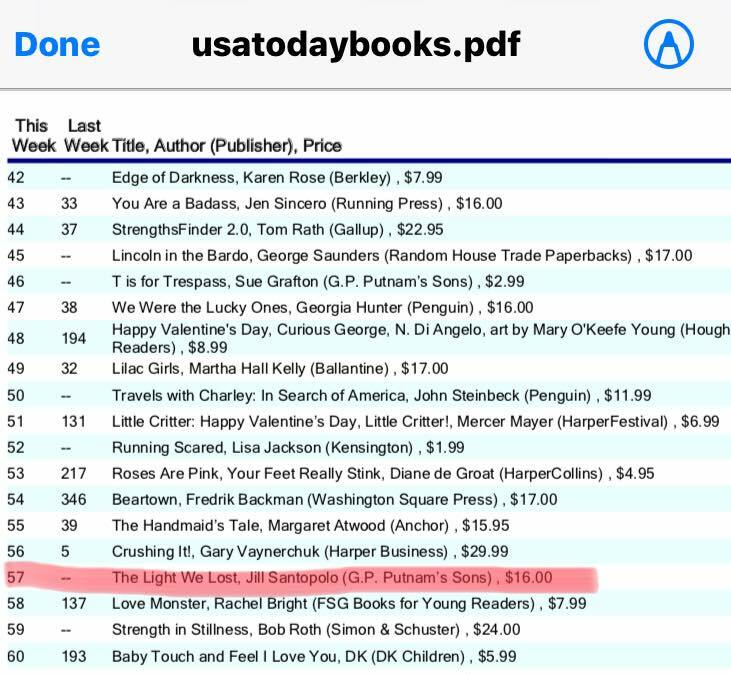 The first week the paperback of The Light We Lost was available in the US, it hit #57 on the USA Today bestseller list! 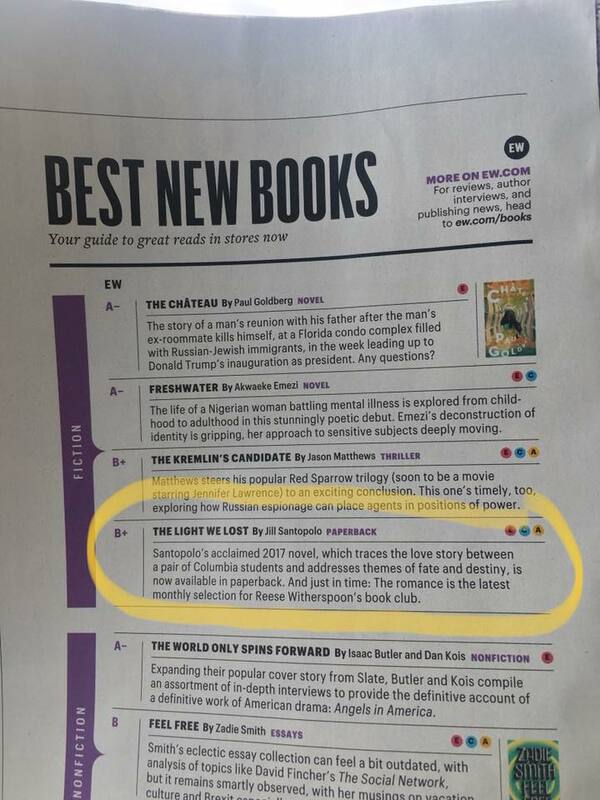 I’m so, so grateful to everyone who made this happen. So honored that BuzzFeed included The Light We Lost on this list of 31 Books that Portray Love in a Realistic Way. Love the book company it’s keeping. Sometimes I forget I said things, and then they get quoted somewhere, like in Women and Hollywood and I think, “Yes! I totally agree with that!” Thank you for writing this article and pulling out that quote. The wonderful women at Belletrist featured me and The Light We Lost in their brief today! Thank you, Emma & Karah. I’m too excited for words, so just going to leave this Deadline article here.